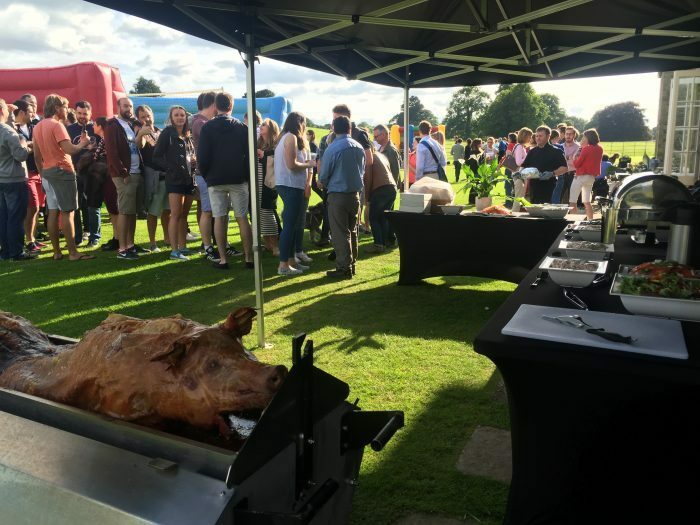 Why Should You Hire Catering For Your Function? Planning and organizing a function successfully is a huge task. It takes a lot to actualize the ideas eventually. This is where you need a written list of things to do because you have limited time too. Looking at the list can make you stressed and that is why you should delegate duties, including catering. Catering is one of the major things to do on the actual day of the event. When caterers are contracted, they come and take away the burden of cooking from your shoulders. They want you to be away from the kitchen and be involved in your function as much as possible. They only need you to provide them with details about how many people you expect to attend and the menu you consider for them. In addition, you may add specifications, like how many children will be served so that, they have a separate kid’s friendly meal. After you provide them with this information, they want you to sit back and enjoy as you host your guests. Caterers will handle the preparation, serving of food, and they will leave your place having cleaned the last utensil. If you would like to have more info, then please go ahead and check https://www.hognroast.co.uk/. 1. They Help to Reduce Your Stress. There is a lot that goes into a function to make it successful and memorable for the guests. A caterer will help you with food and this is such a stress relief for you as the host. A company that deals with catering will have professionals to help you even with the most mundane things. Sometimes you are unsure about what to offer your guests for lunch. It is okay because you have a myriad of other things to think about on how the event’s program will flow. There are chances that a caterer has handled such a gathering before and therefore, his or her services come in handy. A caterer would combine your ideas together with the experience gathered from previous events. Caterers are flexible; they work around the client’s specifications, especially when there are certain details that should not miss in the menu. Caterers strive to make the event memorable. They do so by serving mouthwatering food and offering exemplary service in general. From the presentation before serving, to how they clean up after the guests have left makes the idea of having them in your function indispensable. In addition, regardless of whether it is a business function, a wedding, an anniversary or a birthday, they make it special. Having a caterer on the ground also makes the guests feel special because it shows that, the host went out of their way to make a statement. Essentially, the fact that you pay the caterer and they do a splendid job shines through to attendees of your function. For caterers, their work is to leave guests awed. Therefore, they change to trendier presentations according to the kind of gathering they have. This is one place where change is welcome by people. Therefore, even as caterers are keen to follow every specification given to them on paper, they want to wow guests. Caterers do this through patience, experience, and skills to make your event successful. A caterer knows how to fit in any environment to ensure the drinks and food look impeccable and they blend perfectly with your choice of location. More often than not, the part about cooking is what consumes a lot of time. This is mostly when you want to do it yourself. This is because it involves buying food in the store after knowing what you will serve guests in the event. It does not only consume time, but it is draining for the host. Remember that time is essential when planning an event and therefore every minute counts. Lastly, if you decide to cook in-house, you will not get to enjoy quality chat time with your guests. Hiring a caterer will do you some good because it will save time for you.